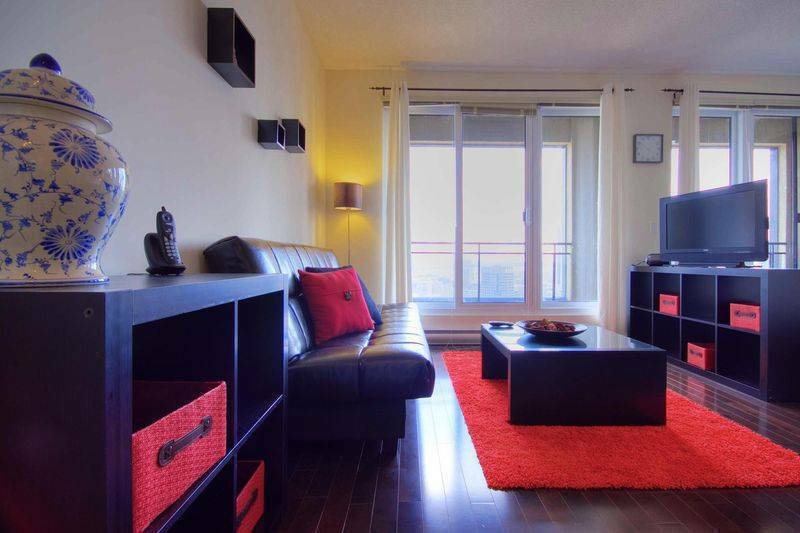 This beautiful Montreal apartment perfectly pairs bright red and brown accents with muted brown furnishings, showcased against the luxurious hardwood floors, making this a great choice for a short or long term stay in the city. 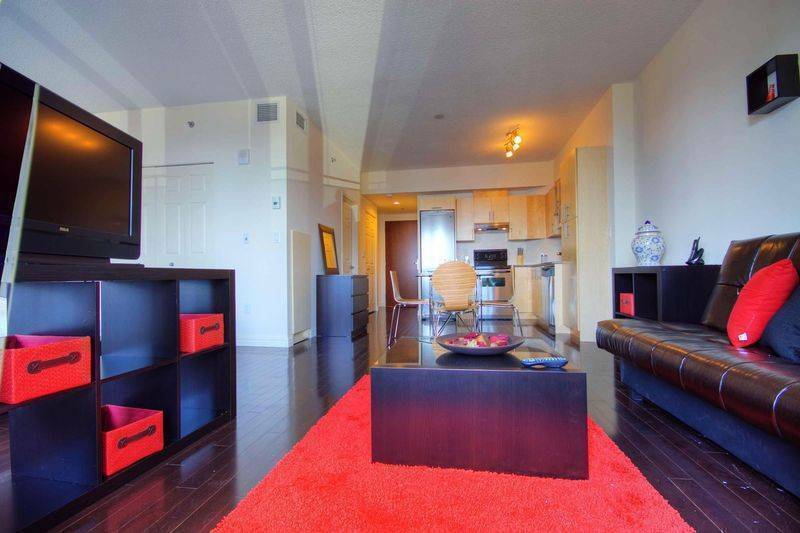 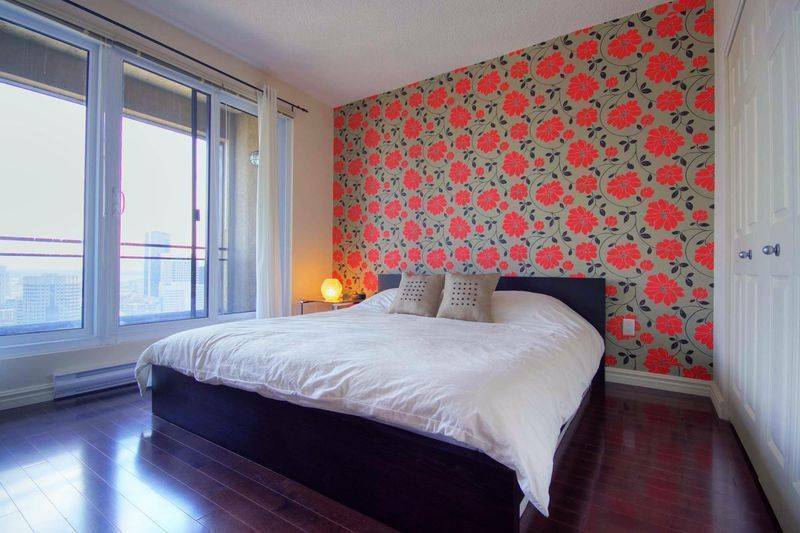 Ideally located right in the downtown core, this apartment is a perfect mixture of comfort and convenience. 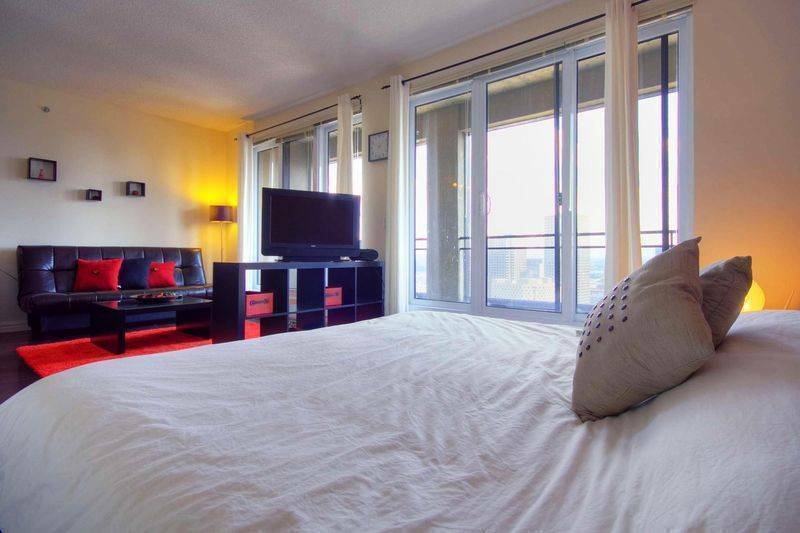 The apartment features a fully equipped kitchen, one comfortable bedroom, one bathroom, and a sofa bed for visitors. 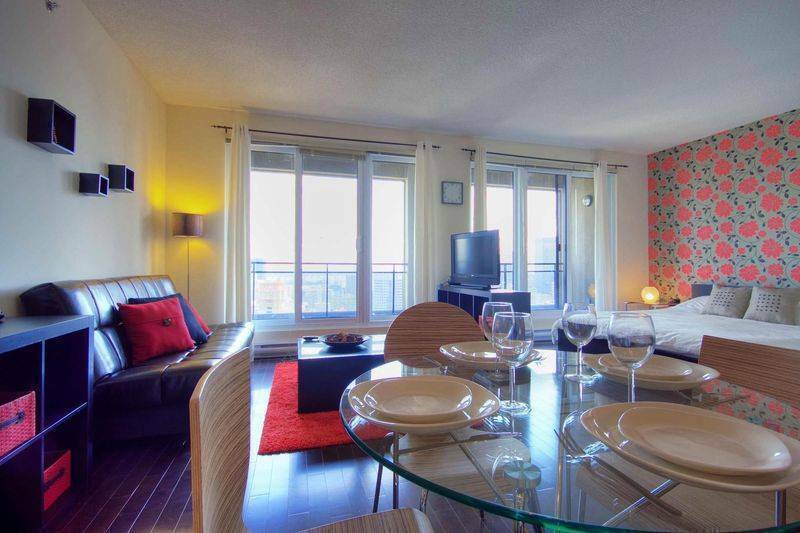 The building features 24-hour security, a swimming pool and a rooftop Jacuzzi. 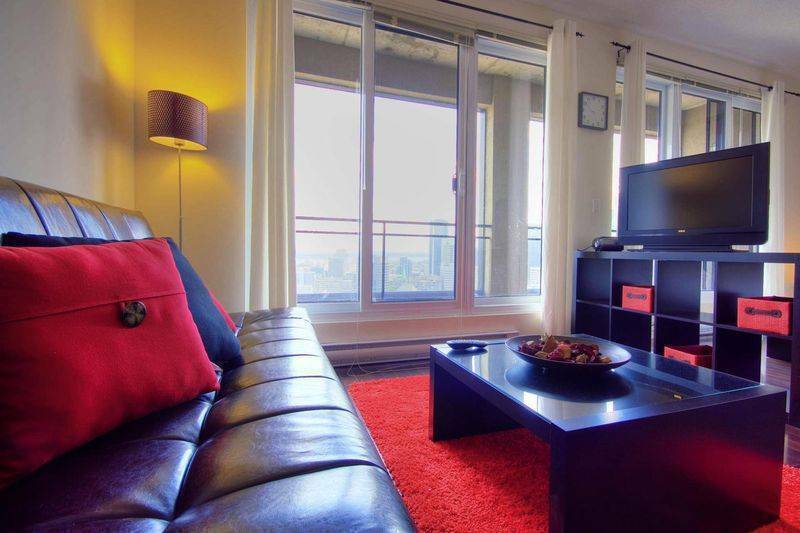 Your ideal stay in Montreal awaits!